Pennsylvania is home to many cities and landmarks of historical note, including the city of brotherly love, Philadelphia. While this well-known metropolis gets plenty of attention, it's the expansive forests in the country that deserve equal praise. The tall pines at the Big Bear Campground tower over all of the park models resting beneath their shady branches. 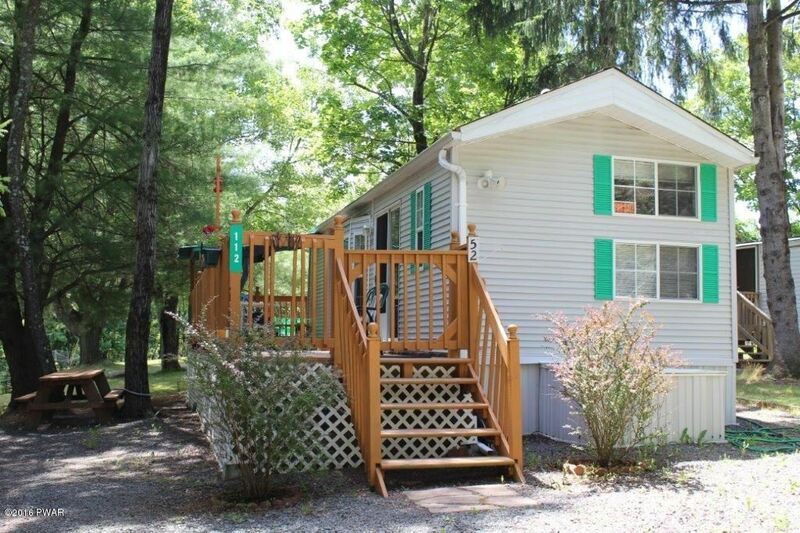 The park model that has caught our eye this week is #112, a gorgeous woodland retreat that has a special secret inside. 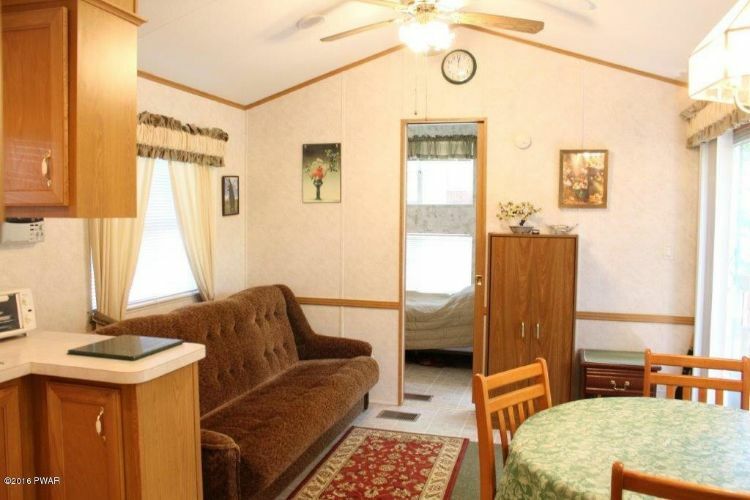 Most park models are a cozy fit for two, making them a humble getaway for a couple of lovebirds. This park model, on the other hand, is divided into double dwelling spaces! The living room, kitchen and dining space are common areas with plenty of natural light and clean lines. Although the kitchen is a little too cozy, the modern appliances and cupboard space give you plenty of storage. 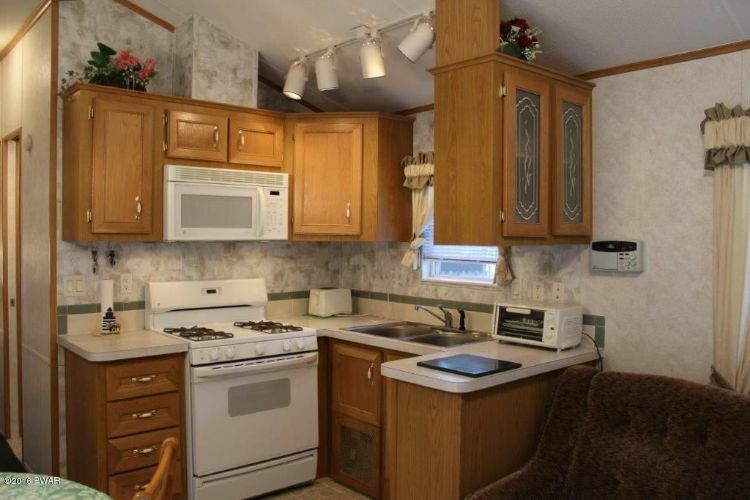 You and your roommate will just have to take turns using the kitchen space! 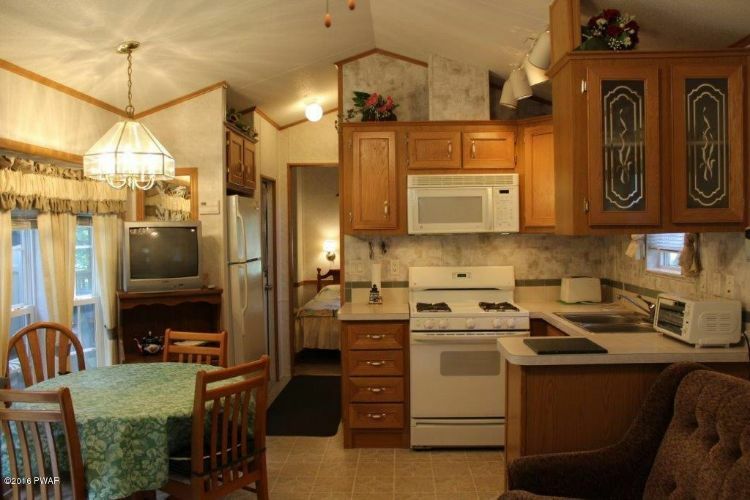 This park model has not one, but two bathrooms and bedrooms. 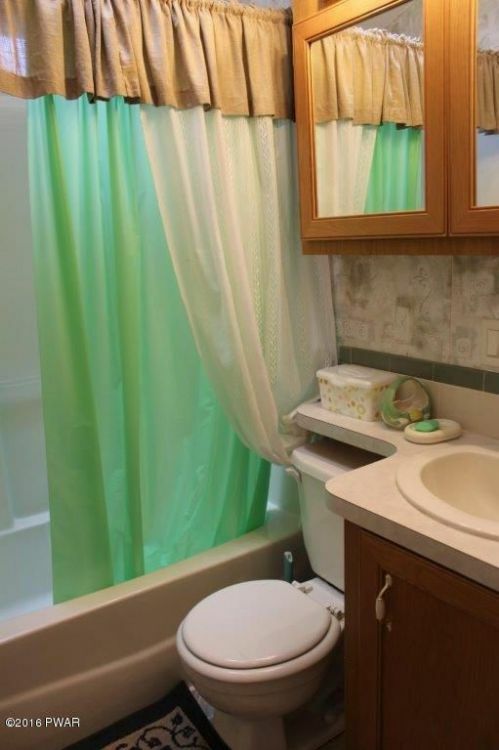 The first bathroom has a lovely shower/tub combo with mirrored cabinets and a nice bit of storage underneath the sink. 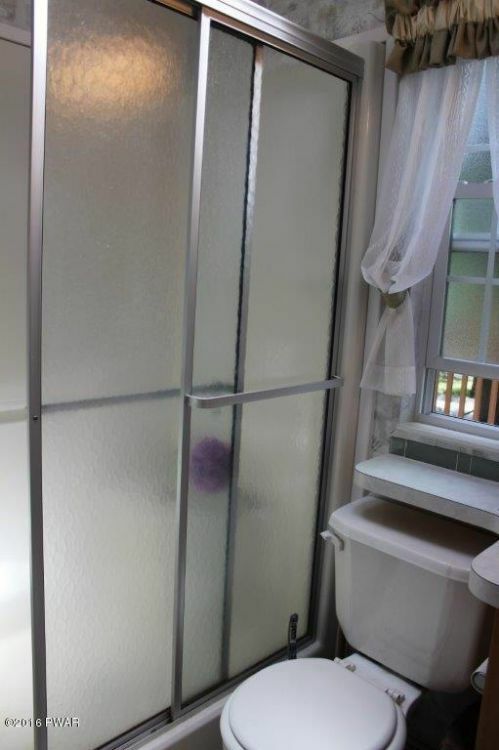 The second bathroom has a sliding door shower and a large window with views of the deck. Don't worry – anyone on the deck still won't be able to see you! 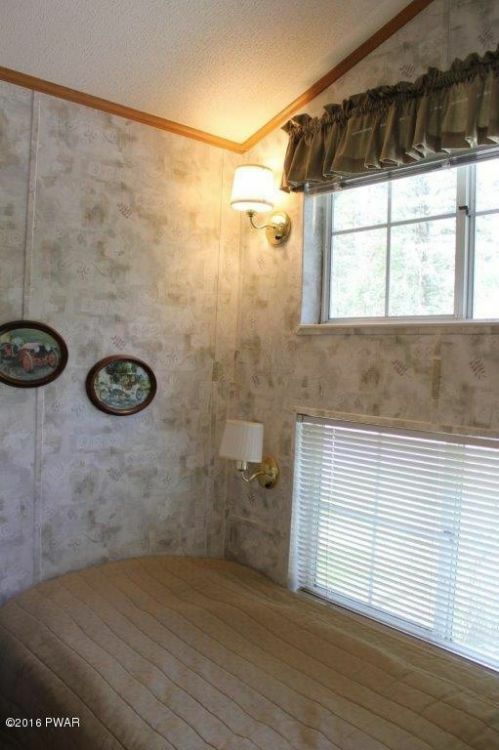 The bathroom has blinds and curtains to keep peeping eyes out of your private space. 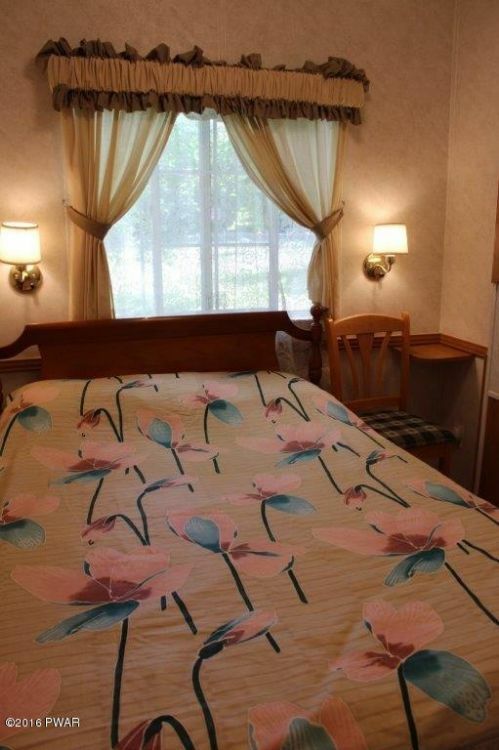 Naturally, the park model has two medium-sized bedrooms. The master bedroom has a bit more space and twin side tables, but the second has plenty of room for a small dresser and a closet. The deck is absolutely marvelous! 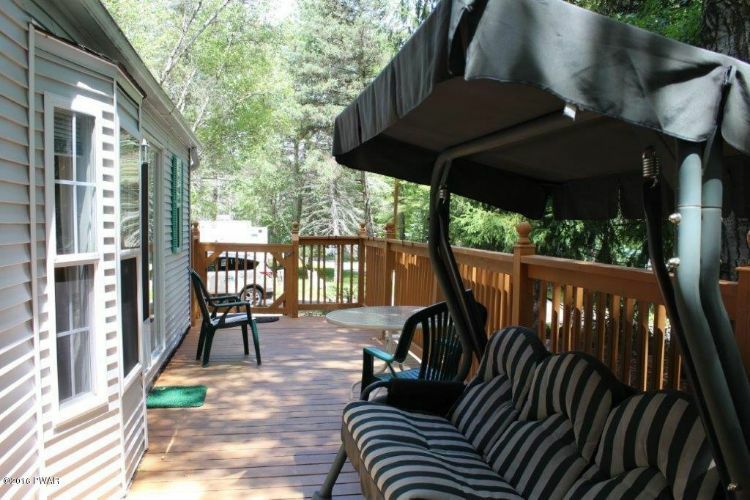 It's big and open, and it's easy to grill outdoors thanks to the ample square footage of the deck. If you loved this park model, just wait until you see all of the other ones on our Park Model World Facebook page. Make sure to share us on Facebook and Twitter to spread the love.